Price for each $5,232.00 $3,216.00 Call for Price! 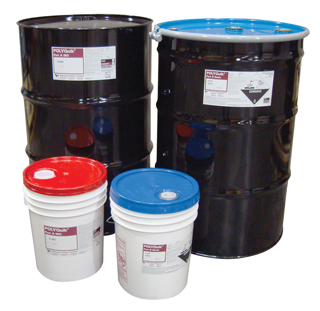 April Special Offer: Purchase 1 or more FASTPATCH DPR Pourable Asphalt Repair 3-Gal Kit - Pallet of (48) and receive 1 Eggbeater Style Mixer FREE! - Limited time offer ends Tuesday April 30, 2019 11:59pm. FASTPATCH DPR Pourable Asphalt Repair is an easy-to-apply, long-lasting repair material for distressed pavement. FastPatch DPR is supplied in complete, ready-to-use kits with a polymer blend of recycled and renewable materials. 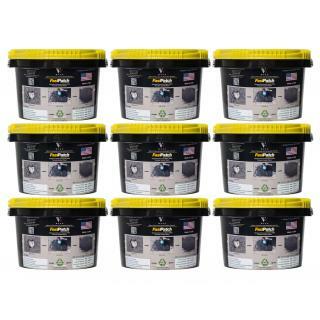 Each kit comes with two color options of Gray and Black, and both Gray and Black topping sand to blend repair areas with the surrounding pavement. FastPatch DPR can be applied in cool or warm conditions, and in cold conditions with the aid of FASTPATCH Kicker accelerator (free upon request), to form a permanent repair that is quickly ready for traffic. Potholes - Quickly and permanently repair potholes, precisely to grade, No bump required! Snow plow friendly. Asphalt - Easily repair and restore cracked or alligatoring (fractured) asphalt. Stops future water intrusion or erosion. FASTPATCH DPR Pourable Asphalt Repair provides long lasting, durable repairs that allow for rapid return to service, within an hour of installation. 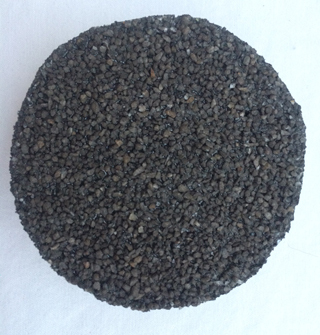 FASTPATCH DPR Asphalt Repair contains a blend of recycled and renewable materials.